"Australia has sun, sea and sand, Birmingham has youth, diversity and creativity." 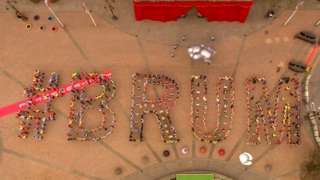 The Commonwealth Games flag has been passed to Birmingham, as the city prepares to host the 2022 competition. The handover ceremony took place in Australia's Gold Coast on Sunday, with the flag passed to the Lord Mayor of the UK's second city. During the handover - broadcast live on Sunday from Australia - Birmingham Lord Mayor Anne Underwood said: "We may not be able to offer sun, sea or the sand of Australia's Gold Coast, but what we can offer is youth, diversity and creativity." 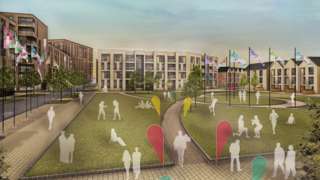 Ian Metcalfe, chairman of Commonwealth Games England, added: "The work starts right now to bring the Games to Birmingham in 2022." After a dry morning with some bright spells, there should be more sunshine this afternoon with highs of 13C (55F). M54 Staffordshire westbound severe accident, between J2 for A449 and J3 for A41. M54 Staffordshire - One lane closed on M54 westbound between J2, A449 (Wolverhampton) and J3, A41 (Albrighton), because of an accident. Traffic is coping well. M5 Worcestershire southbound severe disruption, between J7 for A44 Worcester and J8 for M50. M5 Worcestershire - One lane closed on M5 southbound between J7, A44 (Worcester) and J8 M50, because of a broken down vehicle. M6 Toll Staffordshire southbound severe disruption, at J8T for A460. M6 Toll Staffordshire - One lane closed on M6 Toll southbound at J8t, A460 (Cannock), because of a broken down vehicle. 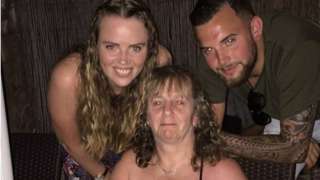 Tracy Stonehouse, 51, suffered multiple stab wounds and other injuries to her head and neck. 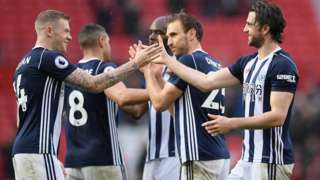 The leadership of caretaker-manager Darren Moore helps West Brom show "we actually know what we're doing", says James McClean. 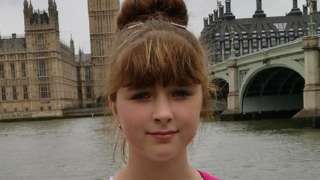 Viktorija Sokolova, 14, was found dead in a Wolverhampton park a day after she was reported missing. M6 Staffordshire northbound severe disruption, between J15 for A500 and J16 for A500 Crewe. M6 Staffordshire - One lane closed on M6 northbound between J15, A500 (Stoke-On-Trent) and J16, A500 (Crewe), because of a broken down vehicle. 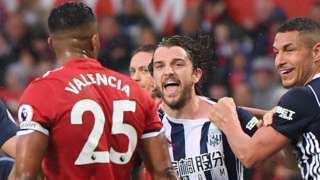 Manchester United boss Jose Mourinho says his players were "masters in complication" after their defeat to bottom side West Brom. 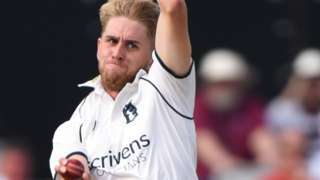 Olly Stone takes a career-best 6-52 as Warwickshire get on top against Sussex at Edgbaston. 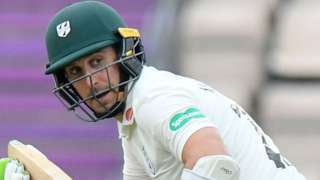 Worcestershire need another 265 runs to beat Hampshire with seven wickets in hand on the final day at Southampton. M6 Staffordshire northbound severe accident, between J10A for M54 and J11 for A460. M6 Staffordshire - One lane closed and slow traffic on M6 northbound between J10a M54 and J11, A460 (Cannock), because of an accident. Viktorija Sokolova, aged 14, was found dead in a Wolverhampton park. CCTV footage shows someone setting fire to the vehicle as it charged outside a family's home. M6 West Midlands southbound severe accident, between J8 for M5 and J7 for A34. M6 West Midlands - One lane closed and very slow traffic on M6 southbound between J8 M5 and J7, A34 (Great Barr), because of an accident. M50 Herefordshire westbound severe disruption, between J3 for B4221 and J4 for A449. M50 Herefordshire - One lane closed on M50 westbound between J3, B4221 (Newent) and J4, A449 (Ross-On-Wye), because of a lorry having a tyre changed. Traffic is coping well. City's "youth, diversity and talent" is showcased in event as torch passes from Australia.